The Double Guest Bedroom is a good sized room measuring 458cm x 376cm approximately. 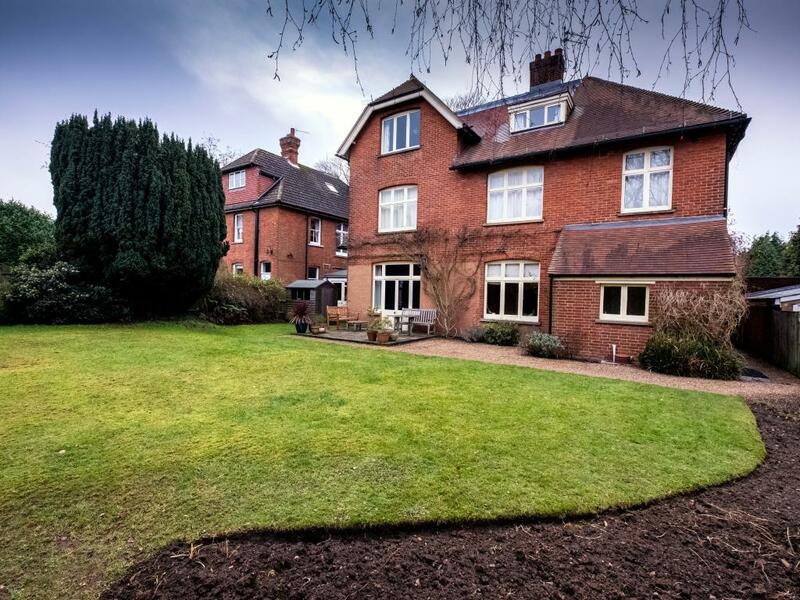 It has been beautifully decorated and furnished and has far reaching views north across the back garden and adjoining properties. 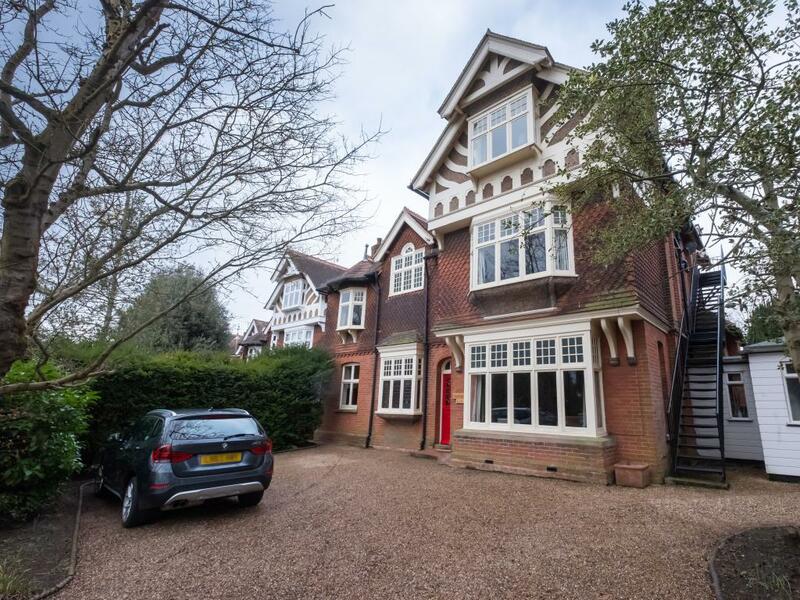 The many big trees make this a very pretty view and with it being located on the second floor it is also very quiet even though you are only a 10 minute walk to the Sevenoaks Town Centre. 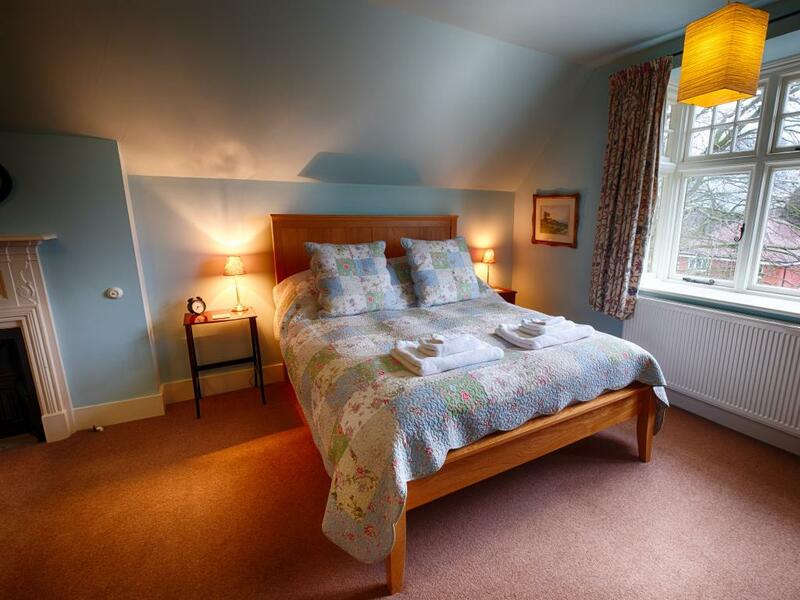 The bedroom has a high quality and extremely comfortable John Lewis bed and mattress which measures 200cm x 150cm. All the bedding has been purchased from John Lewis to ensure high quality and a really good nights sleep. The pillows and duvet are 100% duck down and the duvet cover, fitted sheet and pillow cases are all 100% Egyptian cotton. 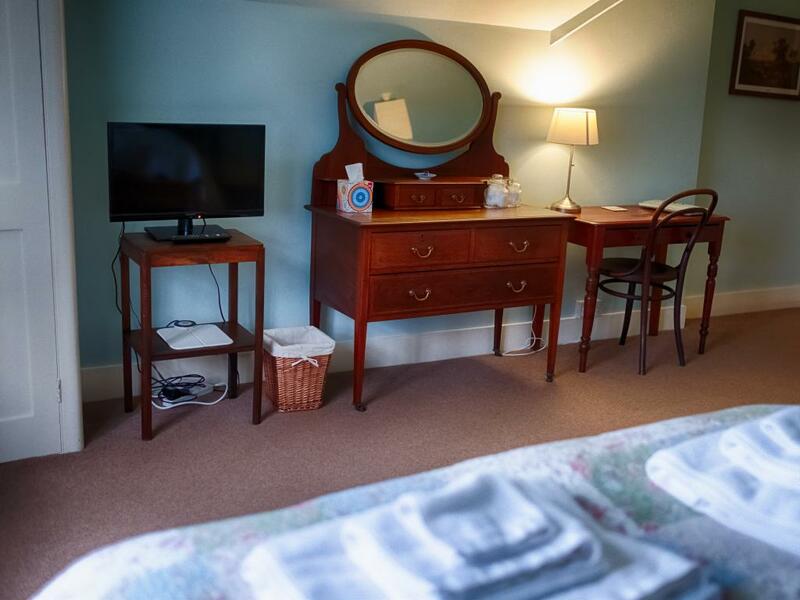 The bedroom is furnished with a dressing table, wardrobe, desk and bed side tables all in keeping with the Edwardian heritage of the house. The bedroom is equipped with a Panasonic HD flat screen TV, tea and coffee making facilities, biscuits and bottled mineral water. There is free Wi-Fi, a hair dryer, an iron & and an ironing board. The bedroom is very well equipped with USB mains points and continental style mains adaptors. 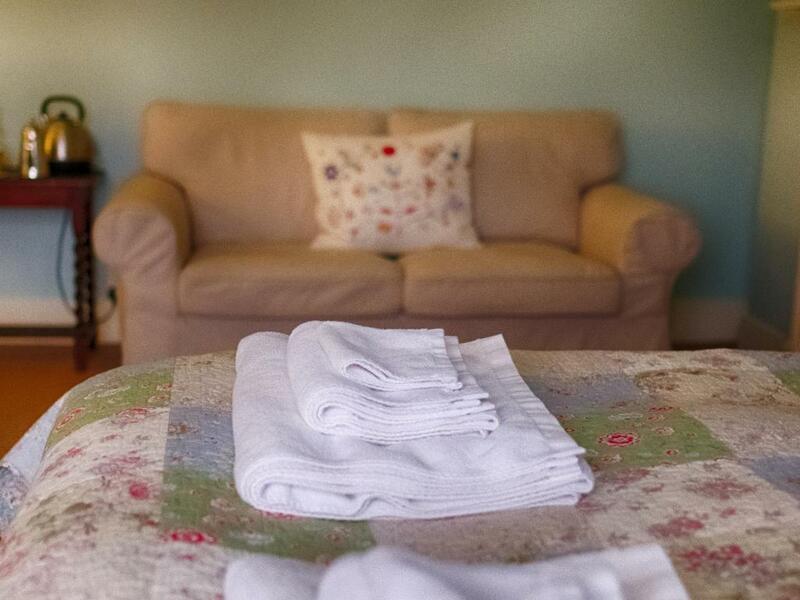 All our high quality 100% Egyptian cotton towelling has been purchased from John Lewis and each guest is provided with a large bath towel, a hand towel and a flannel. There is complimentary luxury shower gel and shampoo from the Whitstable Lavender company. 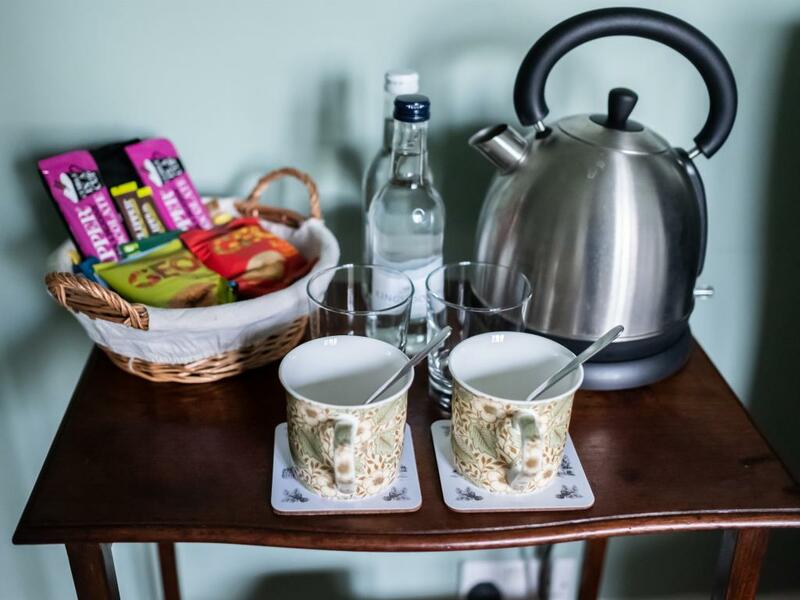 We think we have thought of everything but are only too pleased to provide any thing else which will ensure our guests really enjoy their stay at Wychwood. The King Guest Bedroom is a very large room measuring 452cm x 510cm approximately. It has been beautifully decorated and furnished and has far reaching views west towards the North Downs. 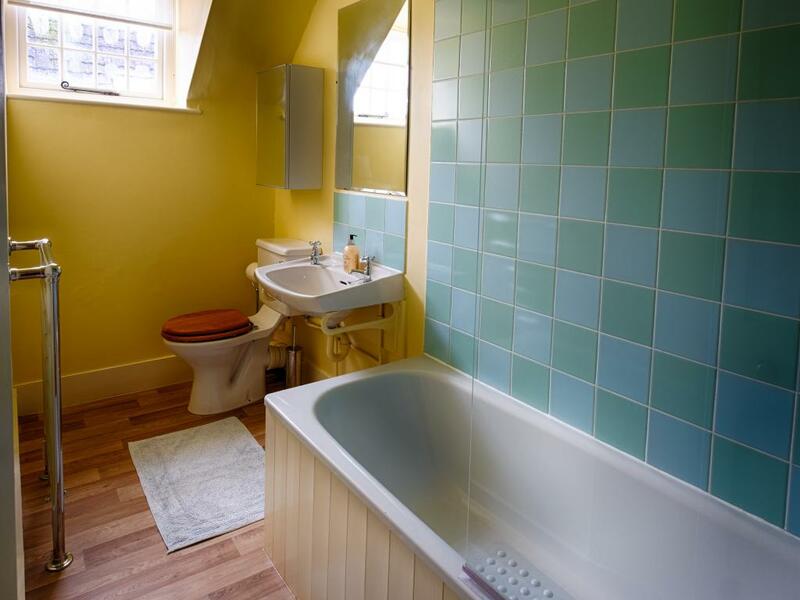 Because it is located on the second floor it is also very quiet even though you are only a 10 minute walk to the Sevenoaks Town Centre. The bedroom has a high quality and extremely comfortable John Lewis bed and mattress which measures 160cm x 210cm. All the bedding has been purchased from John Lewis to ensure its high quality and a really good nights sleep. The pillows and duvet are 100% duck down and the duvet cover, fitted sheet and pillow cases are all 100% Egyptian cotton. 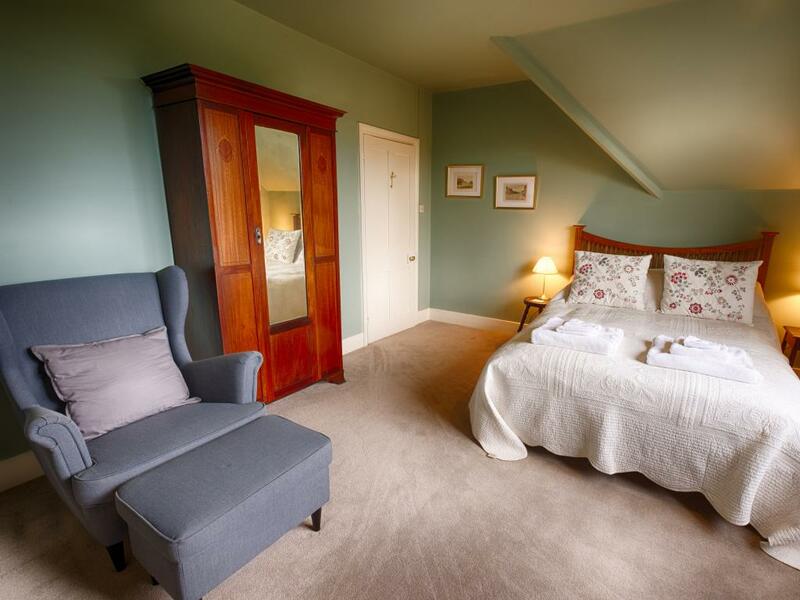 The bedroom is furnished with a sofa, dressing table, wardrobe, desk and bed side tables all in keeping with the Edwardian heritage of the house. The bedroom is equipped with a Panasonic HD flat screen TV, tea and coffee making facilities, biscuits and bottled mineral water. There is free Wi-Fi, a hair dryer, an iron & and an ironing board. The bedroom is very well equipped with USB mains points and continental style mains adaptors. 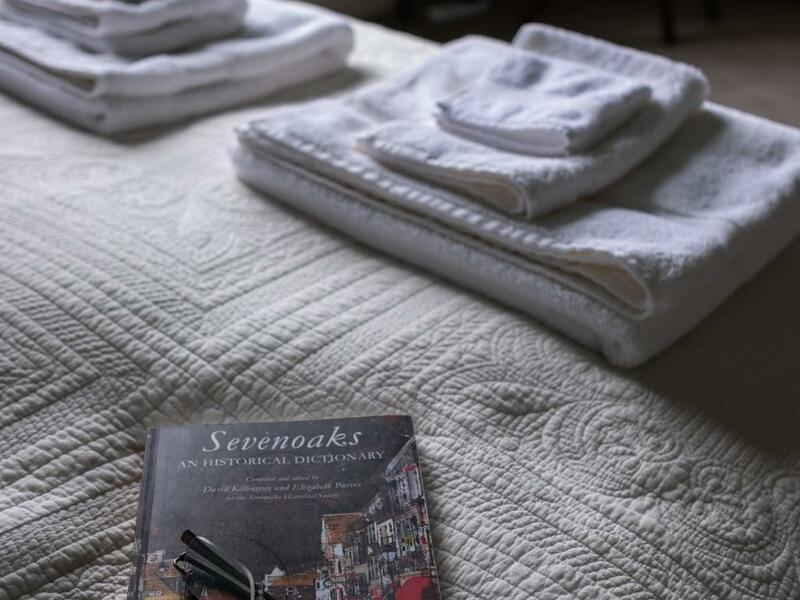 All our high quality 100% Egyptian cotton towelling has been purchased from John Lewis and each guest is provided with a large bath towel, a hand towel and a flannel. 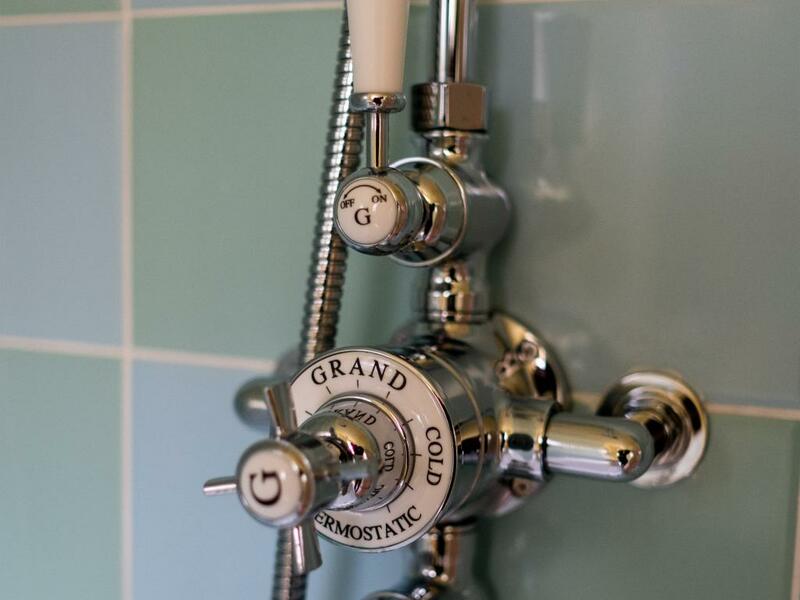 There is complimentary luxury shower gel and shampoo from the Whitstable Lavender company. 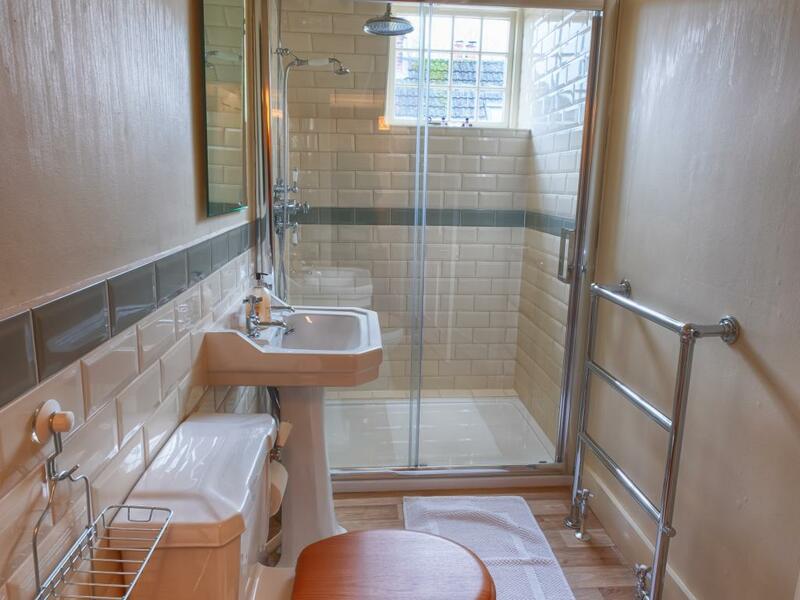 We like to think that we have thought of everything but are only too pleased to provide anything else to ensure you enjoy your stay at Wychwood B&B. 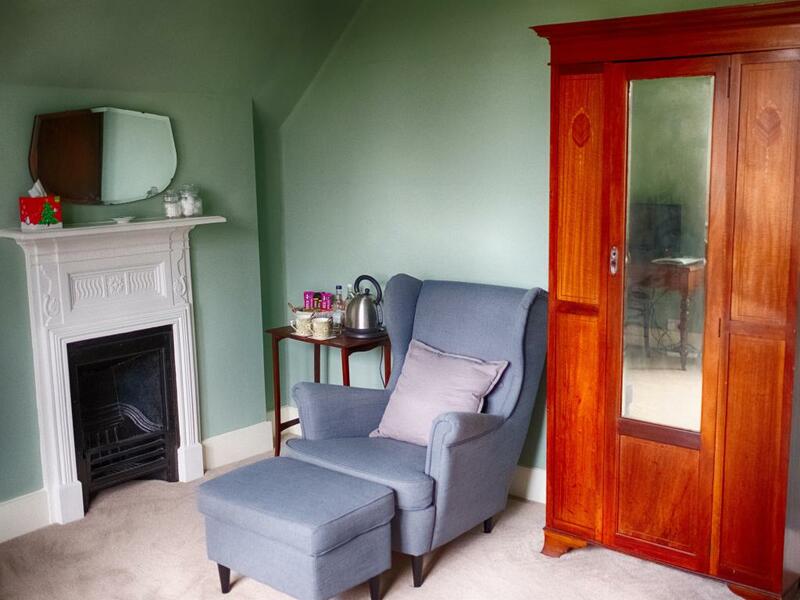 Wychwood Bed and Breakfast is a beautifully restored and spacious Edwardian villa in the Vine Court conservation area close to Sevenoaks Town. 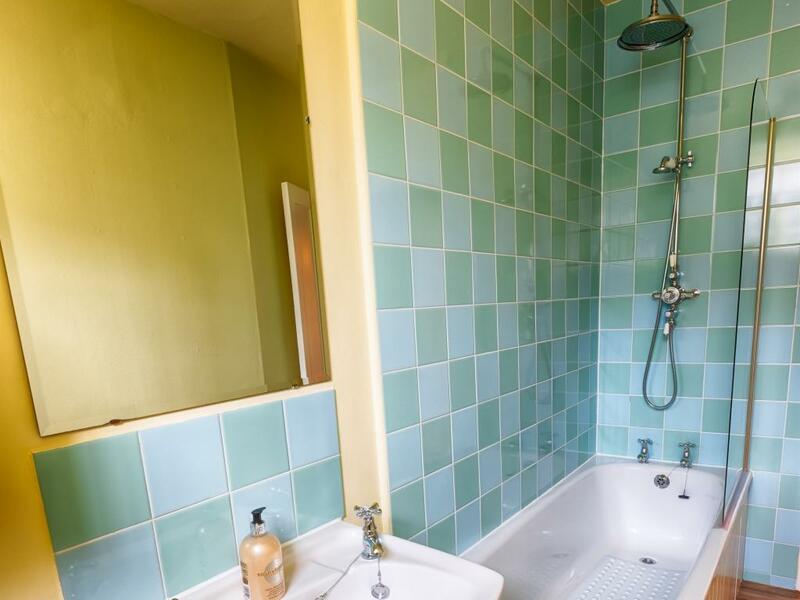 The house retains many original features including coloured glass windows, fireplaces and cornicing. 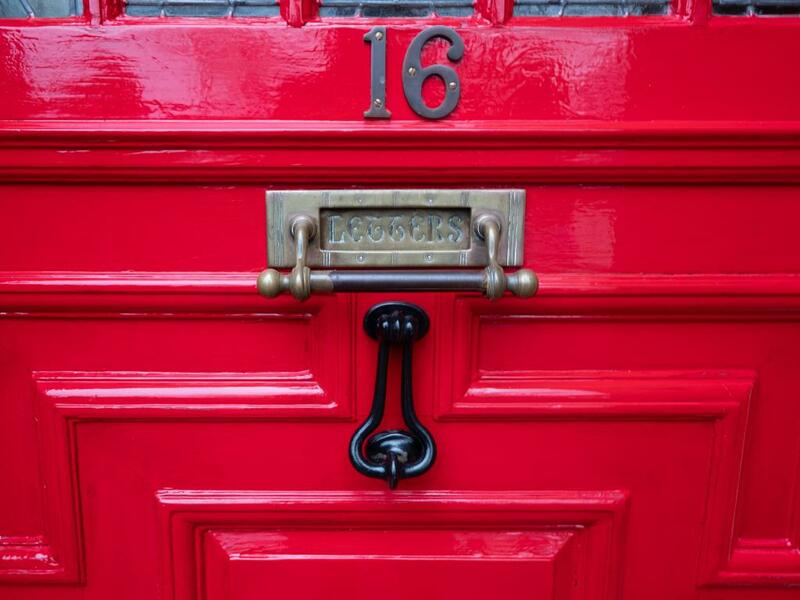 The house is an ideal place in which to host guests. 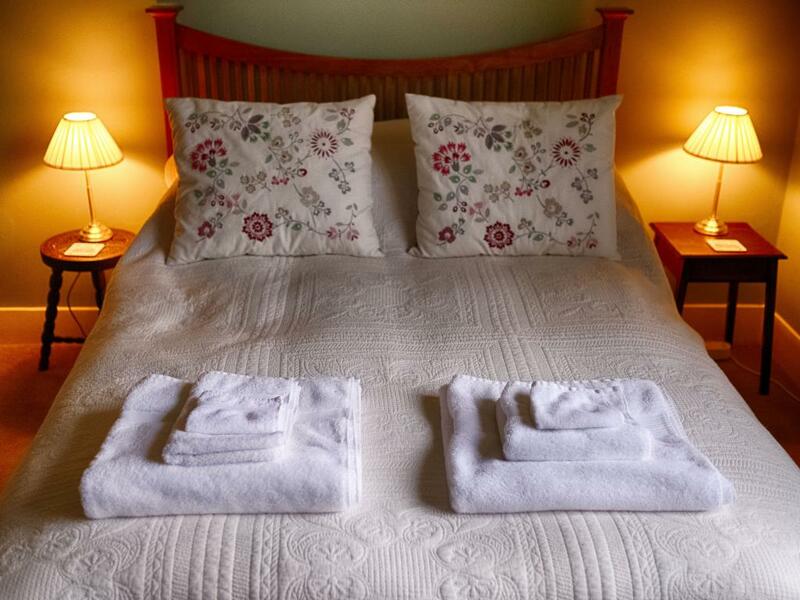 The two guest bedrooms and en suite bathrooms have been decorated and furnished to a very high standard, with many guests commenting on how comfortable the beds are and with their high quality John Lewis mattresses, duck down duvets and pillows and very soft 100% Egyptian Cotton bed linen and towels. 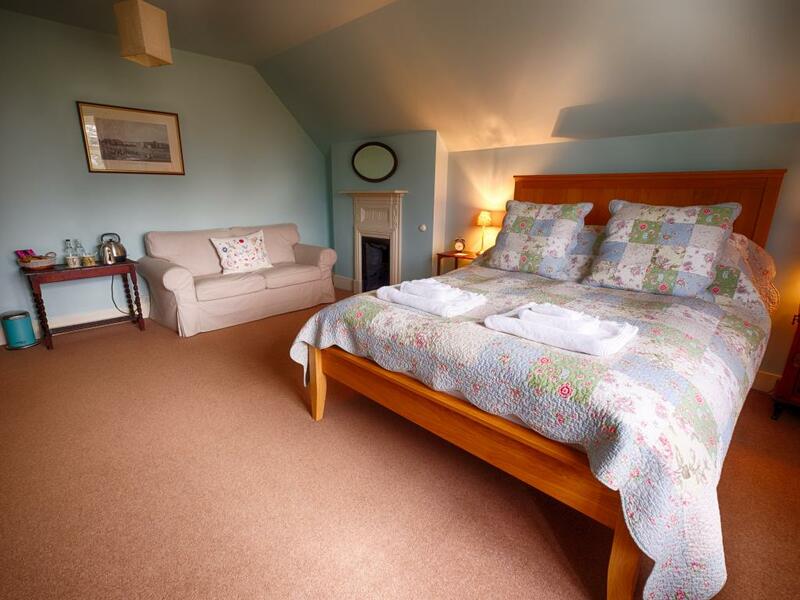 Both guest bedrooms are on the second floor and provide beautiful views of the surrounding area as well as being very quiet and private from the rest of the house. Ideal for families or groups of friends booking both rooms. Breakfast is served in our grand edwardian dining room and we provide a menu of cooked dishes, such as the ubiquitous Full English, or Smoked Salmon and Scrambled Eggs, Scottish Kippers and Porridge, complemented with fresh fruits, freshly baked croissants and orange juice. 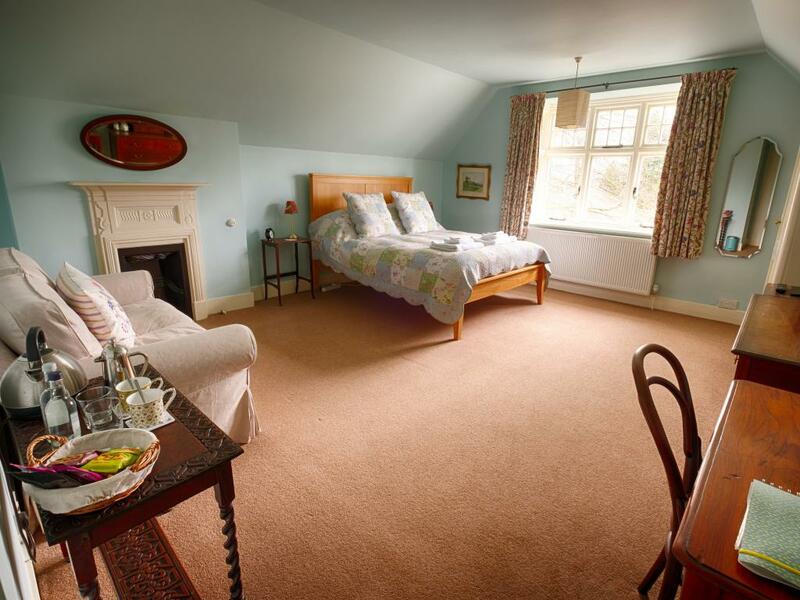 Wychwood's location is ideal for exploring the local area as well as being 30 minutes by train from central London. This area of Kent has a wealth of historic houses and beautiful gardens to visit, many no more than a 20 minute drive. Knole House is on our dorrstep and a lovely 20 minute walk through its deer park to the house.